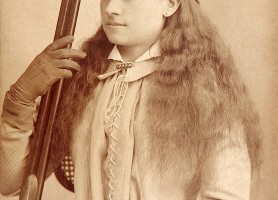 Most people know of famous men from the Wild West, but here's a list of seven women you might not know. 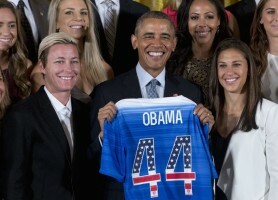 After the US women's soccer team won the World Cup, President Obama said "This team taught all of America's children that 'playing like a girl' means you're a badass." What happens when you mix a screwball comedy, a fish-out-of-water story, and a hysterically overpowered martial arts heroine? 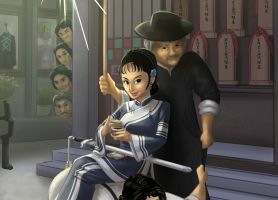 My Young Auntie, my favorite Shaw Brothers movie. 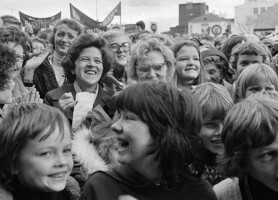 On October 24, 1975, 90% of Iceland's women took the day off and rallied by the thousands for equal rights. 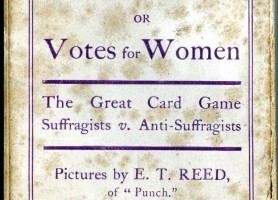 How did militant English suffragettes finance their activities? With a card game featuring them fighting the cops. No, really. 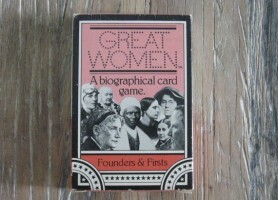 In the 70s, young feminists had their own card game, featuring the likes of Harriet Tubman and Amelia Earhart. But how was it played? 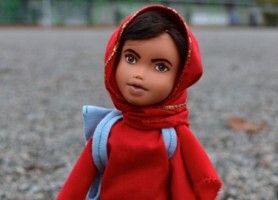 Vancouver artist Wendy Tsao has been repainting Bratz dolls and giving them new outfits to turn them into dolls of real-life heroines like Malala Yousafzai, Jane Goodall, and JK Rowling.